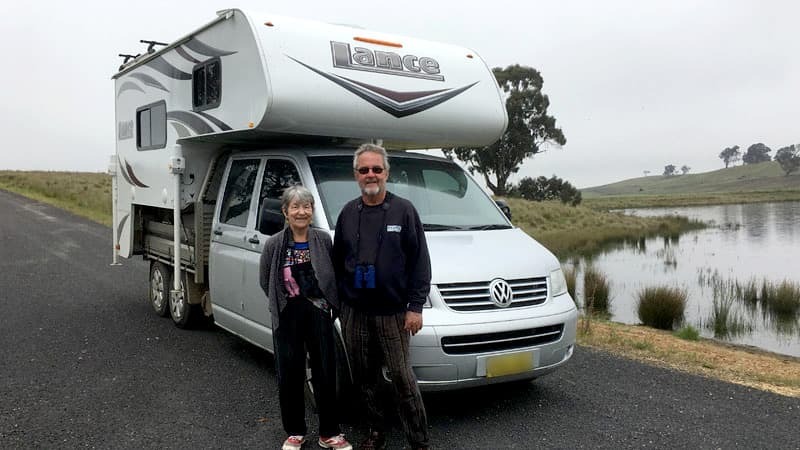 Australian’s Irwyn and Rosemary Doherty bought an imported 2015 Lance 825, mounted it to a VW Transporter diesel flatbed, and converted it to a 6×4 lazy axle. Bush camping anyone? Other than the 2015 Lance 825 and a set of Torklift tie-downs, there’s almost nothing about Irwyn and Rosemary Doherty’s rig that will be familiar to readers in the United States and Canada. For starters, we can’t even get the Volkswagen Transporter truck. They are available in Mexico, but they’re not for sale in the United States or Canada. Technically, you could import a Volkswagen Transporter from Mexico, but you would have to pay the infamous 25 percent “Chicken Tax” that dates back to 1963. Making the VW Transporter even more unobtainium, it’s diesel, a flatbed, and has been legally converted with something called a “lazy axle” into a 6×4 truck. Wait, what? In Australia, they can legally add an additional axle to their trucks to add 2,000 pounds to their GVWR. This is how a VW Transporter with a 1,300 pound payload can haul a 2,722 pound (wet and loaded) Lance 825. 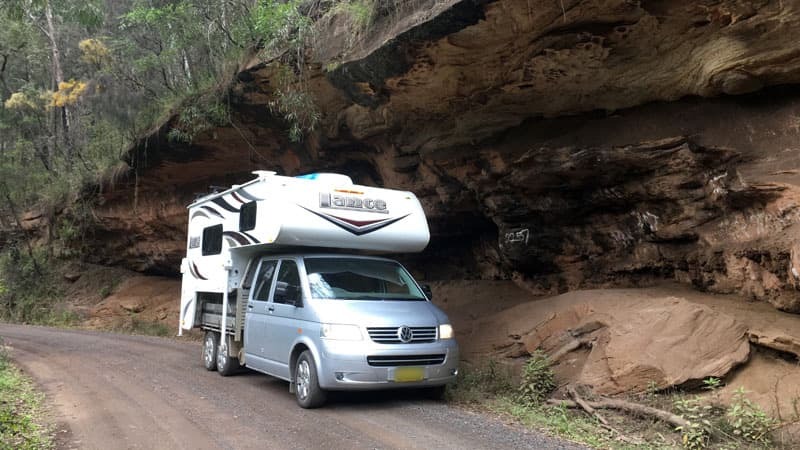 In Australia, you can simply add a lazy axle and bingo, a VW Transporter with a 3,300 pound payload! What follows is the story of how Irwyn and Rosemary Doherty discovered truck campers, bought a brand new 2015 Lance 825 in Australia, and mounted it to a 6×4 Volkswagen. You’ll also enjoy their truck camping lifestyle down under. Bush camping anyone? Rosemary: We were migratory beekeepers for forty years before we retired four years ago. We would take our beehives to southwest Queensland for the winter; 1,000 kilometers (621 miles) from home. For those winter trips, we would be away from home for two or three weeks at a time. We stayed in our caravan (trailer) which we kept on the property with our bees. So camping and being in the bush was not new to us, and we knew it was what we liked to do. Irwyn: As a teenager I did some camping with a friend. We had our favorite bush spots, but we just camped on the ground under a tarp. Rosemary and I knew that, in our retirement, we wanted five star camping, not 5,000 stars. TCM: How were you first introduced to truck campers? Rosemary: When we retired and sold our beekeeping business, we had to make a decision as to which direction we wanted to go. We wanted to see more of Australia and decided motels were not an option for us. We didn’t really want to tow a trailer, which is the most popular choice in Australia. We had heard of slide-on campers, so we started to search on the web. We already knew there was very little offered in Australia. Then we came across Lance Campers in the United States. We were immediately impressed. To our surprise, we found an Australian dealer who was just starting to import Lance Campers. A Lance truck camper really suited us and ours was in the first batch he imported. TCM: Did you have your VW Transporter before you got your camper?